Photoshop files should be 100-120dpi at full output size. Do not embed color profiles. When using stock photography images, be sure to purchase the highest resolution version that your budget will allow. We use CMYK printers to create these graphics. 100% reproduction of defined colors is not possible. Differences between colors in the printed and original file can occur at many different stages. Variations in color or shading are often a result of viewing on un-calibrated equipment (monitors, printers, etc). Colors will often appear different when viewed on two different monitors or output devices. Without accurate color information, we have no way of ensuring that expected colors will be achieved. An e-proof is provided within 48 hours of artwork approval. Please Note: With our UV digital printing, unlike other types of printing, you have the ability to print edge to edge on the particular substrate of this product. Click Here for UV digital print example.Example of UV digital printing, printed edge to edge. Please keep this unique feature in mind when creating your artwork. Artwork should be submitted the same day the order has been placed to avoid delays. 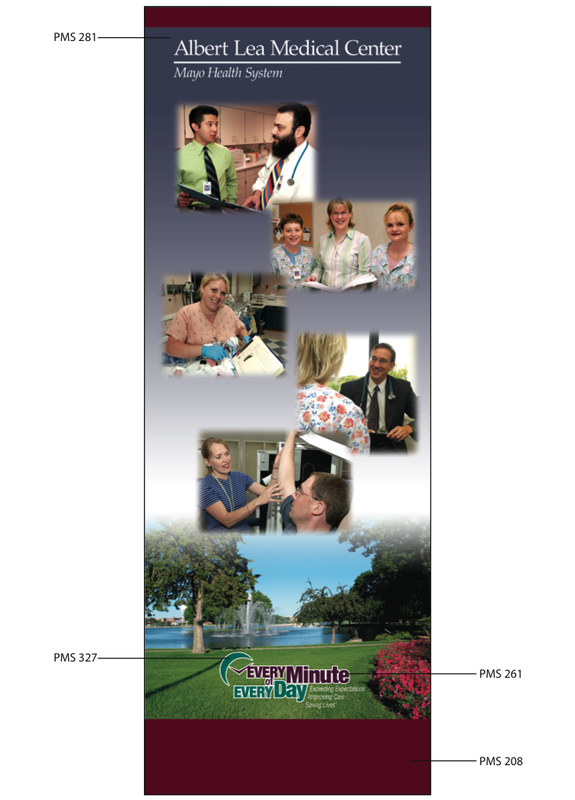 After receiving your file, it will be reviewed within 24-48 hours for printing requirements. If the file does not meet all necessary requirements, you will be contacted by your representative. If corrections are required, you may make these changes yourself and resubmit the file or choose to have us make the corrections (if we are able to do so). After the file has been approved we will send a proof for your approval. We will proceed with production/printing only after the proof is approved with a hand signature. Production lead time starts AFTER proof has been approved by the customer. Shipping time starts after production time. Please indicate any special positioning requirements. If using Illustrator convert all fonts to outlines. If using Photoshop rasterize all fonts. If matching Pantone colors please provide a layered file. This allows us to make minor color corrections if necessary. Only send files relevant for output. Art will not be approved unless submitted in our provided template(s). All templates are found under the guidelines page for each product. File color mode must be CMYK. If using Illustrator embed all images. Due to variations in output and viewing devices, we are unable to accept complaints about color variations unless all color matching guidelines have been followed. Artwork files can be uploaded on the product page and submitted with your order, or sent to us after placing your order. If you submit your files after placing your order, please compress all files and folders using the ZIP file format and name the file using your order number (ex: WEB100234569.zip). Displays2go will not address and is not responsible for delays due to improperly named files. Files over 10MB – Upload using Sharefile. A Sharefile link will be emailed once the order is created. If you are unfamiliar with Sharefile, feel free to send artwork files via USB drive. Please write your order number on the drive and shipping envelope. Note: Displays2go will not be responsible for returning any USB drives. 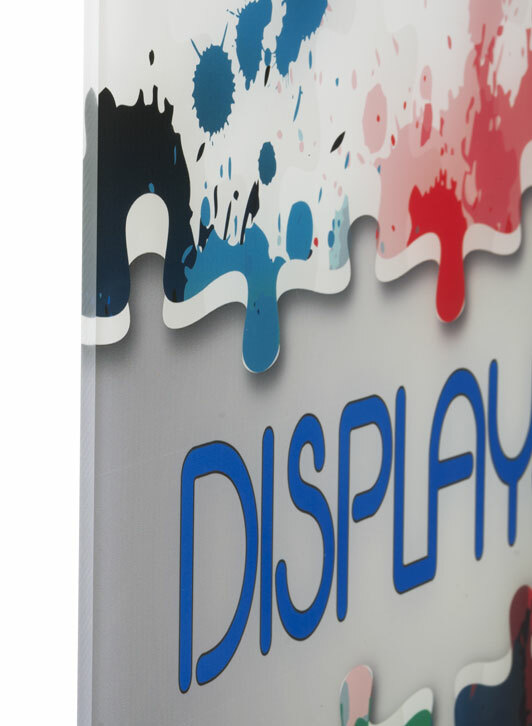 For more information you may call 1-855-868-7003 or email us at artproducts@displays2go.com.